At the start of 2014, team members at Everything Dinosaur compile a list of the top ten most popular prehistoric animals over the last twelve months or so. Throughout last year, we have been kept busy noting requests for dinosaur fact sheets, drawing materials, views on website pages, comments as well as results from surveys carried out amongst students as a result of our many school visits. This information is then collated over the Christmas break so that we can produce a list of the most popular animals from the fossil record. All this data has been brought together and a list compiled of the ten most popular dinosaurs and other extinct creatures and we can now present our findings (with last year’s position, where applicable) given in brackets. With a rush of activity over the last month or so, all as a result (we suspect), of a herd of these horned dinosaurs starring in a recently released dinosaur movie, Pachyrhinosaurus leaps into the top ten and is the highest climber in our chart overall. The performance of our Pachyrhinosaurs was also boosted thanks to the number of emails and other enquiries we received when we published details of the discovery of a baby Pachyrhinosaurus fossil in Alaska. 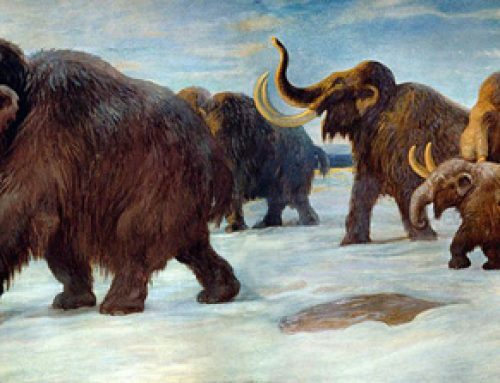 Our blog article discussed the possibility of these large herbivores breeding in northern latitudes, rather than simply migrating during the summer months to feed. Replacing Diplodocus in the top ten comes the lumbering super carnivore – Giganotosaurus (G. carolini). There seems to have been a trend this year for more information requests, downloads and so forth being related to meat-eating dinosaurs than to plant-eating dinosaurs. Giganotosaurus is the first of four Theropod dinosaurs in our top ten list. The first of only two non-movers in our compilation and the only flying reptile (member of the Pterosauria) to feature in this countdown, although an honourable mention should go to Quetzalcoatlus, another Pterosaur that nearly made our chart. With its long crest and big, toothless beak this flying reptile proved to be very popular with younger prehistoric animal fans. Still very popular with girls who are fascinated by dinosaurs, Stegosaurus slips to just outside Everything Dinosaur’s top five. Ironically, there have not been many articles written by our team members about this enigmatic member of the Dinosauria over the last twelve months or so. Perhaps a lack of articles about this plated dinosaur may have contributed to its drop of a couple of places. Climbing up (not that we imagine this colossal dinosaur could climb very much), Brachiosaurus lumbers into our top five. Once again, a Papo model (Papo Brachiosaurus) resulted in a lot of information requests and fact sheet downloads of this huge Sauropod. This long-necked dinosaur remains one of the most popular dinosaurs of all time and it is regularly placed highly on the Everything Dinosaur countdown. Up one place to number four is Velociraptor. This little, lithe meat-eater is always popular but we noticed a distinct spike in interest whenever, news of the latest Jurassic Park film (Jurassic Park IV – Jurassic World) was mentioned in the media. Popular as always, especially amongst Key Stage 1 and Key Stage 2 children who attended our dinosaur themed teaching sessions. To read the latest update on Jurassic Park IV: What dinosaurs will feature in the new Jurassic Park Movie? Down one place from last year is Triceratops, the highest ranked herbivore Everything Dinosaur’s countdown. This Late Cretaceous horned dinosaur is equally popular amongst boys and girls. Lots of requests for drawing materials and questions received from members of the public as well as the media when news stories about new Ceratopsian discoveries were being covered. Palaeontology’s most popular horned dinosaur. One of the reasons we suggest for Triceratops falling to number three in our chart might be the news about so many other horned dinosaur discoveries over the last twelve months or so. From new species (Nasutoceratops) to fossils of baby Chasmosaurs perhaps all these news stories diluted in some way the requests for fact sheets and other material from Everything Dinosaur on the most iconic of all the Ceratopsians. Switching places with Triceratops is Spinosaurus which takes the runners up spot for 2013. This sail-backed Theropod, believed by many to be the largest meat-eating dinosaur known to science has had a resurgence in popularity since it appeared in episode 1 of the BBC television series “Planet Dinosaur” a couple of years ago. We get lots and lots of questions about Spinosaurus and Spinosaurus fossils sent into us from school children, Spinosaurus with its enormous size, long narrow jaws and huge claws seems to have captured children’s imaginations. Good job we have some Spinosaurus teeth to show the children when we visit schools to undertake dinosaur workshops. Number 2 in Everything Dinosaur’s list the fearsome Spinosaurus. It looks like the fishing Spinosaurus in the picture is taken a bow, well done Spinosaurus! Retaining number one spot is the “King of the Tyrant Lizards”, Tyrannosaurus rex. No longer regarded as the world’s largest known land carnivore (although certainly one of the biggest discovered to date), T. rex still tops the Dinosauria popularity tree and does not seem likely to be shifted just yet. Although other Tyrannosaurids have become better known by the general public, when asked to name a dinosaur Tyrannosaurus rex still goes out on top. Rumour has it that T.rex will not play a major part in the forthcoming Jurassic Park IV, other predators will take top billing, we shall have to wait and see. For the time, being T. rex reigns supreme with more requests for drawing materials received by Everything Dinosaur team members than nearly all the other meat-eating dinosaurs put together. T. rex as popular as ever. It seems no prehistoric animal exhibition is complete without T. rex being featured. North America’s largest Tyrannosaurid seems to have the Midas touch when it comes to capturing the imaginations of young and old. Perhaps, it’s those huge teeth, the immensely strong jaws or may be its because of those tiny arms, whatever the reason in Everything Dinosaur’s survey T. rex is still the “king of the dinosaurs”.